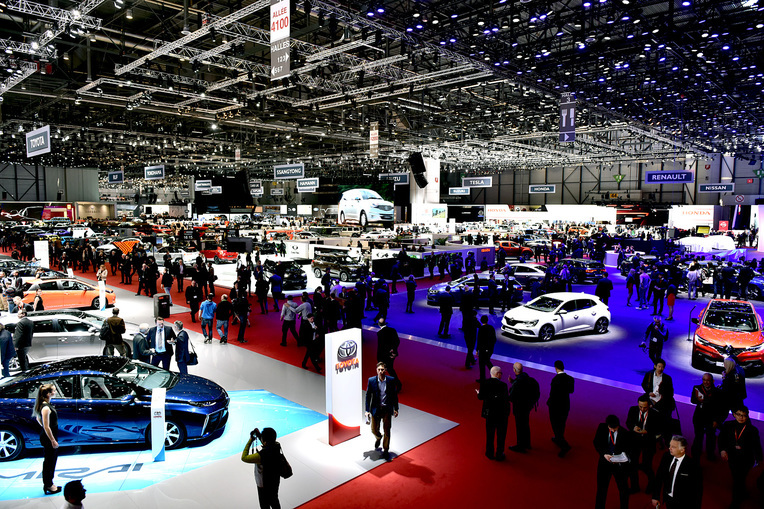 Day one of the Geneva Motor Show 2016 has been and gone. With world exclusive launches from Lamborghini, Ferrari, Bugatti and a new Aston Martin at last, you could be forgiven for thinking it is supercar central. However, there’s been plenty of new car unveils from the mainstream manufacturers. Audi pulled the covers off the latest in its SUV series – the Q2. As the name would suggest, it sits immediately below the Q3 in the Audi range. Engines range from the 1.4 TSI, 2.0 TFSI and a 1.6 and 2.0 TDI. A quattro variant will also be available. Abarth have taken the Fiat 124 and totally reworked the engine and styling. The 1.4 MultiAir unti now pumps out 168bhp. A new exhaust provides a sporty engine note, whilst the suspension gains Bilstein dampers, stiffer anti-roll bars and uprated Brembo brakes. For good measure, Abarth also whipped the covers off a 300bhp R-GT rally version. A debut was given to the long awaited Alfa Romeo Giulia. This is the executive saloon that the Italian manufacturer hopes will take it into BMW 3-series market territory. The styling is sassy and sharp, as we have come to expect from Alfa Romeo. Engines will range from a 2 litre petrol, a 2.9 litre V6 or a 2.2 diesel, driving the rear or all 4 wheels. Alpina have stepped into the void created by a lack of a M-car in the 7 series range to produce the B7. It packs a 4.4 litre twin-turbo V8 with 532bhp. Alpina also cast their tuning magic over the suspension and drive train to make sure it can more than cope with the uplift in power. If you need to move a wardrobe in a hurry, do not fear – fast Volvo estates are back. The V90 will be available in range topping T8 form, which is a whopping 401 bhp hybrid. Volvo have mated an 87 bhp electric motor to a 2 litre diesel engine. Apparently 134 mpg is possible! Other engines include the established D4 and D5 diesel units and a four cylinder petrol engines, featuring turbo charging and supercharging.